Not really, no. 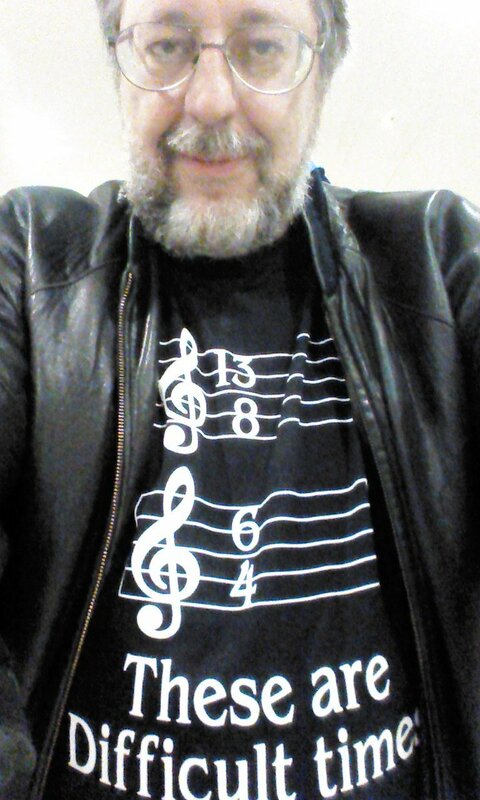 Tasteless, though. That does pass for humor among some folks, but not really ones I'm comfortable with. Yeah... moral decay more like it. which is why that type of joke is probably hilarious to many people. Fair enough, thanks for the input. What's the difference between Avian flu and Swine Flu? One requires tweetment, the other, oinkment. Morel Decay is what happens when you leave mushrooms out too long. Mixolyde, thinking about it, that kind of joke is based on shock. Masturbation itself is not really shocking, so the juxtaposition is something that is more plausible than implausible, and so the feeling on hearing it is focused on what the person is thinking while both intimately holding a child and masturbating. Which is squicky. Compare "I want to die quietly, in my sleep, like my grandfather, not screaming in terror, like his passengers". Same desired effect, strong plausibility (people die in their sleep, or in terror), but much greater shock surprise when the circumstances become clear, and the fact that the grandfather is asleep at the wheel of a vehicle - a believable occurrence for older drivers - removes any question of "what was he thinking? ", so it is funny-horrifying to most people. No one tries to figure out the grandfather's motivations. In your example, that involuntary analysis is front and center, and it dampens the humor and makes it uncertain what the heck is *actually* going on. Make sense? It could almost be part of a Voight-Kampf test scenario. Did you hear about the doctor that does circumcisions for free? He only takes tips. Do keto cannibals eat your buns? Like, intellectually i see the joke structure... but it doesn't tickle my funny (and I genuinely laugh at Adam Sandler and Will Ferrell movies) so... not funny? i guess. I feel weird declaring something objectively funny since 'funny' is so subjective. I don;t know why i'm not turning over the turtle. "My mother? ...Let me tell you about my mother..."
You and I are no longer on speaking terms. Megamind was a really great movie and I think it was brilliant, how does that stand? Adam Sandler is criminally under appreciated. His portrayals of non-neurotypical characters is consistently touching and kind, while still being funny. Also, Punch Drunk Love is a gol-danged masterpiece. Will Ferrell I can take or leave. Co-worker: "What are you still doing here? Isn't it time for you to leave?" Me: [Pretending to be confused] "Leave? ... Leave? Oh, I think you are mistaken, leaves grow on trees." My wife and I LOVE Megamind. My five-year-old daughter is terrified of Megamind. If we even mention having her watch it she goes into apoplectic fits. It makes us kinda sad, since it's a great story. Maybe one day when she's older we can share it with her. A few years ago my kids were riding with me and Welcome to the Jungle came on the radio. One of my little ones said, "Hey, it's the song from Megamind!" It's okay everyone, he's not used to positive feedback! 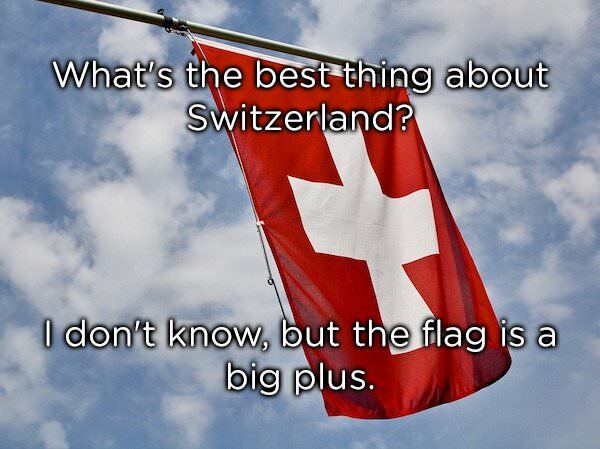 At a family gathering, I shared these two dad jokes - Switzerland's received the chortles dad jokes often receive. 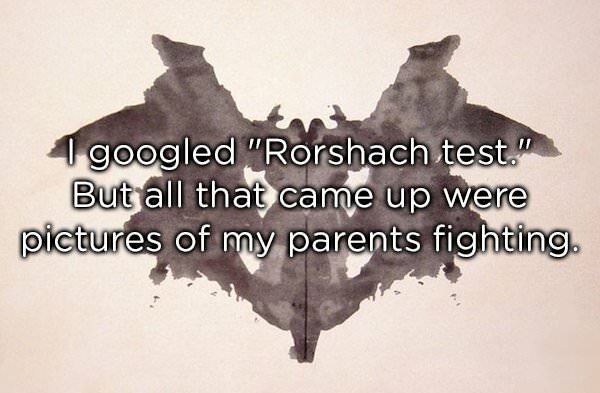 The Rorshach test one was a huge hit - so much so that numerous people said "it is too funny to be a dad joke." !!! I see that California is considering splitting into multiple states. They should split into four. That would be prime. Then the United States truly would be one nation, indivisible.